The hunt for the man accused of shooting and killing a Clinton, MO, police officer last Sunday during a traffic stop is over. Ian McCarthy, 39, of Clinton was apprehended about 6:15 p.m. Tuesday walking on a highway a mile south of Bucksaw Resort and Marina in Henry County, MO. McCarthy was returned to Clinton early Wednesday and booked into the Henry County jail shortly after midnight. Authorities had searched for McCarthy since he was charged Monday with first-degree murder. Bucksaw Marina is about 18 miles from the scene of the shooting, the Kansas City Star reports. Michael, 37, had been on the force less than a year. A driver spotted McCarthy on an area highway and reported the sighting to police, the Missouri Highway Patrol reports. 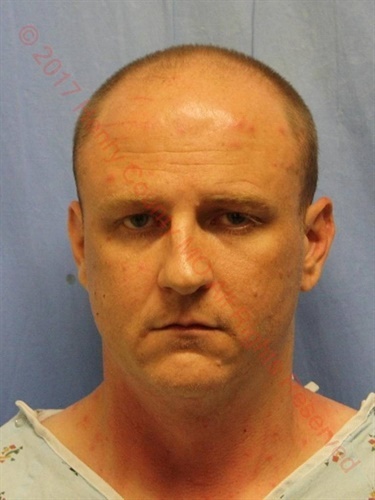 McCarthy was apprehended on Missouri Route U shortly thereafter without incident.